The wife of Karasu Tengu and mother of Kuromarou, Sasami and Tosakamaru. 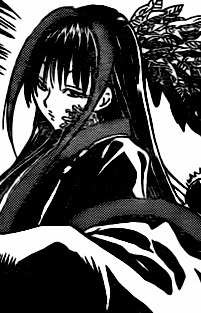 She is shown to be a very beautiful, albeit extremely violent woman who lives alone on Mount Takao and does not fail to scold her husband and children when they come home, which is once every year. She seems to think of family as a very important thing, as she scolds her children for not thinking of their family much, saying that though they live at the main house, their home is on the mountain.